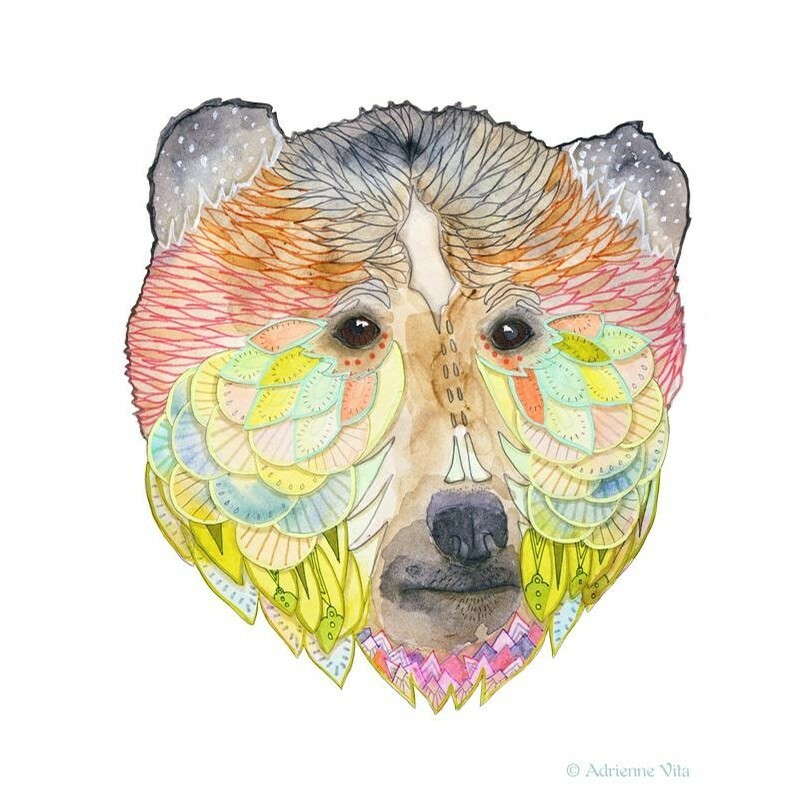 “Sagacious” is a print of an original artwork depicting a bear in a technicolor coat. The bear animal totem represents bravery, introspection, caution, healing and leadership. This bear with all his unique markings and steady gaze is an expression of this insight.